Do you envy other people’s smartphone photos and wish you knew how to make your phone do that? Have you explored panoramic photos, portrait mode, or Live mode? Do you wish you had your own Instagram account but haven’t clue how to use it? If you’ve asked all of these questions and more, come to this workshop where two experienced photographers will wow us with tips and tricks! We’ll have both iPhone and android specific instruction, time for shooting and practicing what we’ve learned and then time for some comment and critique. Plan to bring lunch or eat at the Garden Cafe at the library. Important note: if your phone is “vintage”, you may not have access to all of features that will be discussed. And if a it’s flip phone, well, you can join us but you’ll mostly just be watching and learning why you need a smartphone. Julie Verlinden is a wedding, family and landscape photographer, based in New Orleans. “My passion to capture and document photographs grew from observing and analyzing the world around me and the people in it. This tendency to witness is what drives my photojournalistic style, capturing the world and people around me, every day moments and connections in a genuine, honest way. From weddings to family moments, portraits or live performances and events, my work reflects you and your life. Traveling inspired me to photograph originally, and landscape photography still plays a significant role in my life. Working as a kayak tour guide in the swamps in Louisiana, has allowed me to connect to this unique place extensively. I love capturing the wetlands. Cyd Lapour is a wedding, birth and family photographer (Bayou Rose Photography) in the Baton Rouge area who specializing in photojournalism, loves photographing humor and emotion above all else, and never passes up an opportunity for a That’s What She Said joke. This workshop and Q&A session will feature 3 speakers who will offer instruction and insight into sharing your photography with the world, for profit or not. 1:00 pm – Amanda Budyach will offer instruction regarding showing your photography at one of the public events offered by LPS. She will advise about framing, matting, hanging, labeling etc…in the hopes that more people participate in our public gallery events! 2:00 pm – Cathy Smart is well known to the LPS family, since she currently serves as our president. Cathy has been a professional photographer for a number of years, focusing on landscapes, portraits, nature and travel. In this session, Cathy will discuss her experiences as a seasoned professional and offer insight into how she manages that business, focusing on marketing, inventory, printing, and software tools. 3:15 – 4:30 – David Leadingham was featured as one of our guest speakers last fall when he told us that he specializes in high-speed sports like auto racing and barrel racing photography. But he also mentioned that he was new to the business end of things and this is your chance to hear his story and benefit from his experiences as a newly christened professional photographer. David will describe the tools he used to get into business and offer some lessons that he’s learned on the way. Mark LaGrange will lead us in a workshop that will “focus on the visual and philosophical approach to landscapes.” The plan for the day is receive some instruction, go out and shoot, and then reconvene to cull through your images and share a few for critique and comment. Plan to bring your camera, tripod, and laptop for post-processing. 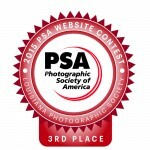 Mark is an award winning Louisiana-based photographer with a broad range of interests. View his outstanding nature work on his website: www.lagrangeimages.com . You may also find his sports photography work after game day in the paper or online articles, as he hangs out on the sidelines shooting both LSU and the Saints. Have you wanted to try your hand at Street Photography, but didn’t know how to start? An event like the annual Renaissance Festival in Hammond is ideal for this; a bunch of people dressed up vying for attention! This workshop will be in 3 parts. Part one is an instructional session in room 102 at the Main EBR library from 7-9 pm on Oct 30. Our instructor, Darrell Miller, will offer instruction, tips and pointers for getting the most out of our workshop. Part two will take place at the annual Renaissance Festival in Hammond on opening day, Nov 2. We will meet at the gate for the opening ceremony at 9:30 am and shoot all morning. We’ll break up into small groups and Darrell will divide his time between groups so that everyone gets the benefit of his expertise. We’ll finish that Saturday with lunch. Saturday night, your job is to look through your photographs and find a handful that you really like OR some that you would like input on for improvement. Sunday, Nov 3, we will again meet at room 102 from 7-9 pm in the Main EBR library for a followup show-and-tell, constructive critique session. This lends itself to street photography and street portraits. I love capturing the world around me with a camera (or two). I love capturing people being people. Capturing the world as it is, capturing the character and finding beauty in everyone and everything.